The Paint Creek Joint EMS/Fire District’s ISO rating has improved from a 5 to a 3 in both Hillsboro and Greenfield, and also improved in other areas covered by the district. The Insurance Services Office (ISO) rating for the Paint Creek Joint Fire/EMS District has improved from a 5 to a 3 in both Hillsboro and Greenfield, and also improved in other areas covered by the district following the most recent inspection to determine the department’s Public Protection Classification. 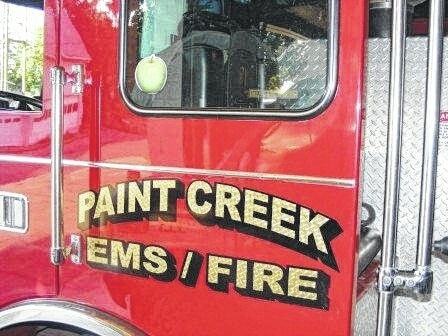 Paint Creek announced its new rating in a press release Friday. Lower ISO scores represent better ratings. For Hillsboro, the rating is significant because the contract between the city and Paint Creek calls for the district to guarantee maintaining an ISO of at least 5, which was the rating when Hillsboro Fire & Rescue was in place. By improving its rating to a 3, inspectors are saying that Paint Creek has improved coverage and service in several areas. In late 2013, as the city was moving toward the Paint Creek deal, Hillsboro Safety and Service Director Todd Wilkin told city council that with the reserve equipment that would be available with Paint Creek, the ISO rating could improve to a 4. Wilkin said Friday that the improvement to a 3 was great news, and was attributable not just to Paint Creek’s service, but to the city’s efforts to improve water flow over the last two years. The district also covers townships in Fayette and Ross counties. In Ross County, the township of Buckskin improved its rating from a 05/5X to a 3/3Y, Paint Township was improved from a 09/10 to a 3/3Y and Perry Township in Fayette County, for which the district only provides fire coverage, improved its PPC from a 09/10 to a new rating of 03/3Y, according to the release. • Needed Fire Flows, which are representative building locations used to determine the theoretical amount of water necessary for fire suppression purposes. • Emergency Communications, including emergency reporting, tele-communicators, and dispatching systems. • Fire Department, including equipment, staffing, training, geographic distribution of fire companies, operational considerations, and community risk reduction. “The district scored extremely well in this category and this led to us greatly improving our PPC across the district,” according to the release. • Water Supply, including inspection and flow testing of hydrants, alternative water supply operations, and careful evaluation of the amount of available water compared to the amount needed to suppress fires up to 3,500 gpm. “This improvement is a direct result of the hard work, training and dedication of all of the members of the Paint Creek Joint EMS & Fire District,” said Jackman.